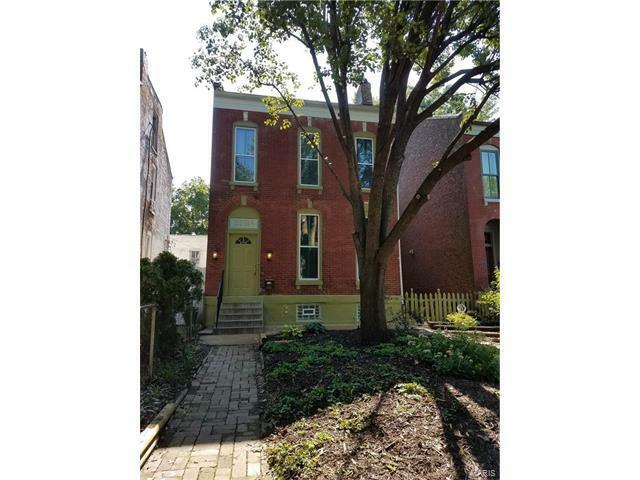 Freshly rehabbed and move-in ready, this stellar two-story, 3 bedroom (plus sitting room), 2 bathroom home is sure to please. Historic charm abounds; notably, the home features both front and rear staircases, 11 foot ceilings, and an English-style front garden. While tax records indicate 1708 sq. ft, the appraisal lists over 2000 sq. ft. The spacious first floor boasts a living room, sitting room, possible office, full bathroom, dining room and kitchen. The kitchen itself is a must-see, featuring cherry cabinetry, pantry, granite counter-tops, and a glass tiled backsplash. The second floor has 3 bedrooms, a sitting room, full bathroom, and a dressing room with vanity. Updates include new roof in 2016, tuck-pointing, new flooring in some rooms, linen closet, dressing room, new hot water heater, new two-car parking pad and more. This home will not disappoint; make your appointment today!